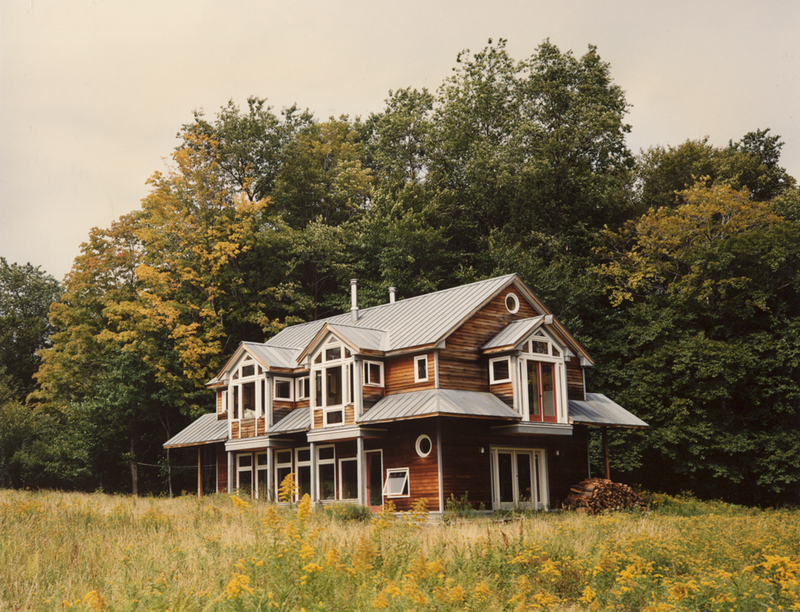 New super insulated passive solar house on rural site in Vermont. Inspired by the local barn venacular, with a more contemporary arrangement of extensive glazing on the south and east sides, opening to views of field and mountains. Phase one of a larger planned complex.